Lysine is an amino acid that has great biological value to humans. In combination with other essential amino acids, it participates in almost all physiological processes. Amino acids, which are necessary for a person for vital processes occurring in the body, are divided into two types – Replaceable and essential amino acids. Replaceable amino acids can be synthesized in the body independently. The essential amino acids enter the body with food. Lysine is an essential amino acid supports the normal functioning of organs and is a building material for the protein that makes up the tissues and cells of our body. 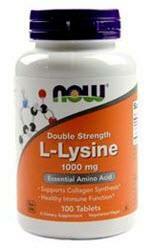 Lysine exists in two forms, L and D. The human body can only absorb L-lysine. But, for complete absorption of Lysine by the body, it is necessary to use an amino acid in combination with vitamins A, B1, C, as well as with iron and bioflavonoids. When choosing foods rich in lysine, do not forget about this rule. This nutrient is found not only in food but is also available in supplement form. In addition, lysine will be absorbed in the body most effectively only in the presence of another amino acid – arginine. By the way, the ideal products, where both substances are combined, are different types of cheese and dairy products. In other cases, you can come up with food combinations with the obligatory presence of nuts, chocolate, gelatin. These products are excellent sources of arginine. Helps the body absorb and accumulate calcium. It is a precursor of carnitine, which metabolizes fat and thereby contributes to weight loss. Regulates the level of serotonin in the brain. A lack of lysine is one of the causes of stress, depression, anxiety, and other behavioral problems. Essential for collagen formation. Collagen is directly related to the health of the skin, bones, tendons, and cartilage. Recent studies have shown that collagen is also important for arterial health. Helps with muscle building and tissue repair. Reduces low-density lipoprotein (LDL) and triglycerides. Essential for the synthesis of enzymes and hormones. It enhances the production of antibodies for your immune system, which increases your body’s ability to resist infections and diseases. Great for recovering from sports injuries and surgeries. A recent study showed that lysine is able to help patients with schizophrenia. According to some studies, L-lysine can fight cancer, reducing the size of the tumor and causing the death of cancer cells without damaging the adjacent healthy cells. May benefit herpes sufferers. Herpes simplex virus (type 1) causes ulcers in the mouth area, and type 2 herpes simplex causes genital ulcers. Lysine is not a cure for herpes, but it can prevent the development of ulcers. It is believed that in some situations lysine can alleviate the suffering of a migraine. 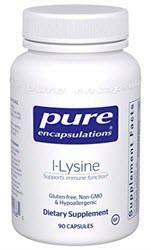 Lysine in combination with arginine stimulates the production of human growth hormone (HGH) in the pituitary gland. HGH, in turn, stimulates the metabolism, so the body burns more fat. In addition, HGH improves your libido and slows down the aging of your body. Lysine has several advantages that contribute to slowing the aging process. Shiny healthy hair, smooth beautiful skin, a minimum of wrinkles are signs of natural beauty and health. The state of our skin reflects our metabolism, and it is by the state of the skin that we can first of all judge the age-related changes in the body. The correct amino acids begin to recover from the inside. They strengthen the connective tissue, keep your nails and hair strong, and your skin smooth. Back in 1984, a study was conducted at the Mayo American Clinic, which showed that the combined intake of arginine and lysine enhances the secretion of the thyroid gland in the elderly, which helps fight senile immunodeficiency. This is due to the increased production of growth hormone. This is an important factor in slowing the aging process. Although in this study, tests were conducted on older people, the conclusion drawn applies to people of all ages. Your brain also needs lysine to work effectively. Lack of this amino acid can negatively affect short-term memory and concentration. The functioning of the female reproductive organs also depends on the level of lysine: the lack of the latter leads to a decrease in libido. Men with lysine deficiency often suffer from erectile dysfunction. It has been scientifically established that two amino acids, lysine, and arginine, play an important role in slowing down the aging process by stimulating the pituitary to produce more human growth hormones (HGH). There is a high-quality growth hormone supplement GenF20 Plus, which contains a powerful combination of nutrients including lysine and arginine. Therefore, taking GenF20 Plus will help reduce the signs of aging and improve overall health. reducing the risk of heart disease, diabetes, osteoporosis, etc. These are just a few of the benefits you can get if your body gets enough lysine, arginine and growth hormone. It is known that the best sources of proteins are the food of animal origin. But when it comes to replenishing lysine from protein foods, even vegetarians have nothing to worry about. The list of lysine-rich foods is huge. And supporters of different power systems can choose for themselves the most appropriate options. But it is worth remembering that cereals after processing, and even in combination with sugar, lose almost all lysine reserves. And at the same time, among plant foods, the highest concentration of amino acids is in legumes. Vegetables: leafy, such as spinach and cabbage, cauliflower, celery, white beans, soybeans, lentils. Fruits: pears, papaya, apricots, bananas, apples. Dairy products: cheeses (cottage cheese, cheese, parmesan), yogurt, milk. Meat: lean beef, pork, lean lamb, poultry (turkey, chicken). The recommended norm for maintaining health is 1000-3000 mg of lysine per day. However, this is an average value, it is individual and may vary depending on the age, lifestyle, and condition of each individual person. 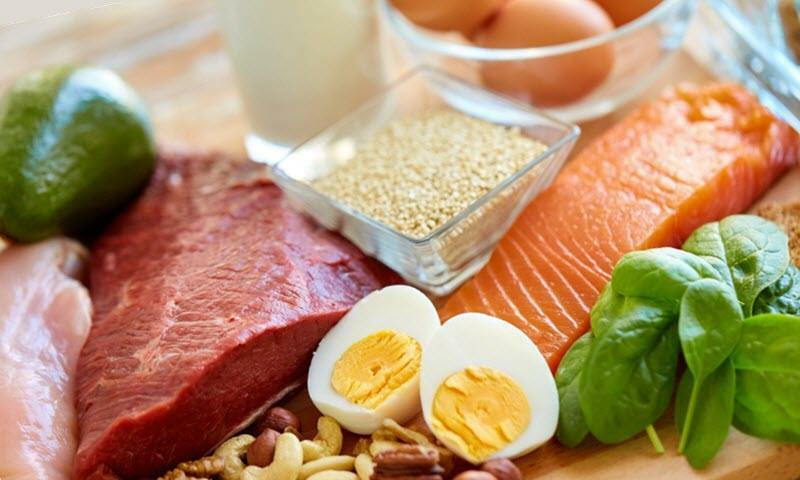 Eating the above high lysine foods is the most useful and effective way of assimilating this nutrient and obtain all the benefits of L-lysine. Take supplements containing this amino acid in powder or tablet form. Start with 500 mg per day, over time you can increase the daily dose up to 3000 mg depending on what goal you want to achieve. To avoid side effects you should talk to your doctor before taking lysine supplements.